The special tour of crossing Datanla waterfall has been created to meet several tourists' demand of discovering the pure beauty of the largest waterfall in Dalat. The up-to-312-hectares waterfall of Datanla is always one of the most attractive eco-touristm destinations in Da Lat. The fall is always filled with water all year long, making the tour of crossing over it interesting all the times. 8:30 a.m. Courtesy bus and tour guides pick tourists up at Dalat hotel and start the journey. Around 9 a.m. Approach and discover the destination. Tourists will be guided carefully by the professional coaches how to use the specialized equipment of international standards, such as helmets, safety belts, carabiner keychans, etc. 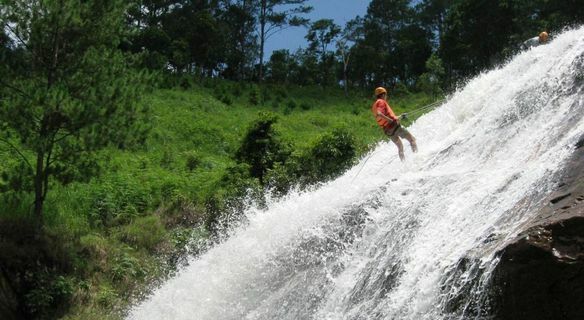 After accomplishing this temporary course, tourists can safely start the adventurous tour of crossing Datanla waterfall. 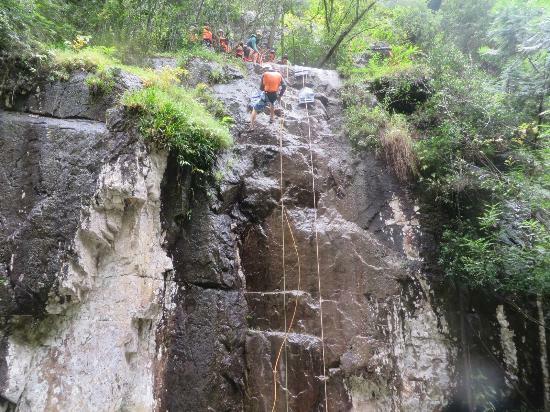 The first challenge is climbing down an 18-meter dried cliff with certain obstacles, which will be immediately followed by the conquest of the second dried cliff with a height of 15 meters. 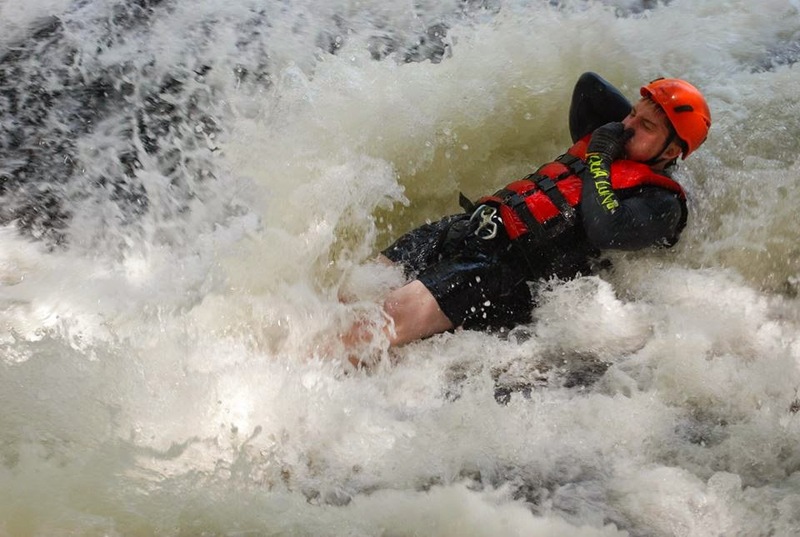 Tourists will be awarded a cool slide of over 3 meters down to a fresh stream at the fall foot. 12:30 a.m. Have lunch and rest. 13:30. Go on the discovery. It's time for tourists to conquer another fall of 25 meters in height and to contemplate in person the mighty nature through miraculous clouds of spume from the fall. The last fall to win over is a 12-meter cascade belonging to the imposing system of Datanla waterfall. The journey will end with a relaxing saunter across the pass of Prenn to the gathering place where the courtesy bus drives tourists back to the hotel. Wish you have a memorable tour of crossing Datanla waterfall!